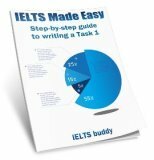 Your writing coherence is important because you are marked on this as part of the IELTS grading. Your work is coherent if it is easy to read and follow your ideas. One way to improve the coherency of your writing is to use transition words to guide the reader through what you are saying. Here is an example of them in use in an essay so you can see the way they are used to improve writing coherence in a real way. However, note that this is a simplistic example and the transition words have not been used in a very sophisticated way. This is discussed further after the example. These days, more and more people are making the choice to go to university. While some people are of the opinion that the only purpose of a university education is to improve job prospects, others think that society and the individual benefit in much broader ways. It is certainly true that one of the main aims of university is to secure a better job. To begin, the majority of people want to improve their future career prospects. Attending university is one of the best ways to do this as it increases your marketable skills and your attractiveness to potential employers. For example, in Europe, further education is very expensive for many people, so most would not consider it if it would not provide them with a more secure future and a higher standard of living. Also, universities have their reputation to consider. They definitely want to ensure that their students are going to get the best jobs as this will affect future funding and university applications. However, there are other benefits for individuals and society. Firstly, the independence of living away from home is a benefit because it helps the students develop better social skills and improve as a person. Many students, for instance, will have to leave their families, live in halls of residence and meet new friends. As a result, their maturity and confidence will grow enabling them to live more fulfilling lives. Secondly, society will gain from the contribution that the graduates can make to the economy. We are living in a very competitive world, so countries, especially developing countries, need educated people in order to compete and prosper. To conclude, I believe that although a main aim of university education is to get the best job, there are clearly further benefits. If we continue to promote and encourage university attendance, it will lead to a better future for everyone. As you now know, transition words are used to guide a reader through your writing and to make it more coherent. The better your writing coherence, the easier it will be to follow your arguments in your essay. One important point though before we go on. If you over use transitions they can make your writing look slightly mechanical as very good writers will need to use them less as they will have the ability to cleverly guide someone through their writing without them. Not using them or using more complex ways to connect ideas and sentences is quite a high level skill though. So it really depends on your ability. 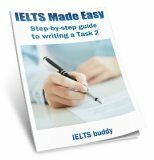 If you are at a lower level of writing, you should make more use of them as they will make it easy for the examiner to follow your ideas. If you have more sophistication in your writing, you may not want to use them too much or it could affect your style. If you are unsure, it probably means you need to be using them! We'll now go on to look further at how some of them are used. Most of these transition words are used in the same way in sentences and are followed by a subject and verb. There are many ways to improve congestion. For example, some cities in The Netherlands have pedestrian only city centres. Many countries have now reduced their CO2 emissions. As a result, there is now less pollution. There are many ways to improve congestion; for example, some cities in The Netherlands have pedestrian only city centres. Many countries have now reduced their CO2 emissions; as a result, there is now less pollution. You can vary your use of ‘for example’ and ‘for instance’ by moving them to after the first phrase of the sentence or to after the subject or verb. There are many ways to improve congestion. Some cities in The Netherlands, for instance, have pedestrian only city centres. There are many ways to improve congestion. Some cities in The Netherlands have, for instance, pedestrian only city centres. Tokyo now has a Sky Train. Traffic problems, as a result/therefore/as a consequence, have decreased significantly. Tokyo now has a Sky Train, and, as a result/therefore/as a consequence, traffic problems have decreased significantly. Tokyo now has a Sky Train, as a result, traffic problems have decreased significantly. - this is incorrect. Firstly, an advantage of a new public transport system is that it will reduce traffic congestion. The first advantage of a new public transport system is that it will reduce traffic congestion. This lesson has shown how you can use transitions to improve your writing coherence. Make sure you find out more about these transitions so you know how to use them correctly, then practice using them in your writing.